Wait, crap. Winter's already here. Wait, no, that was last month. War is Coming. There we go. 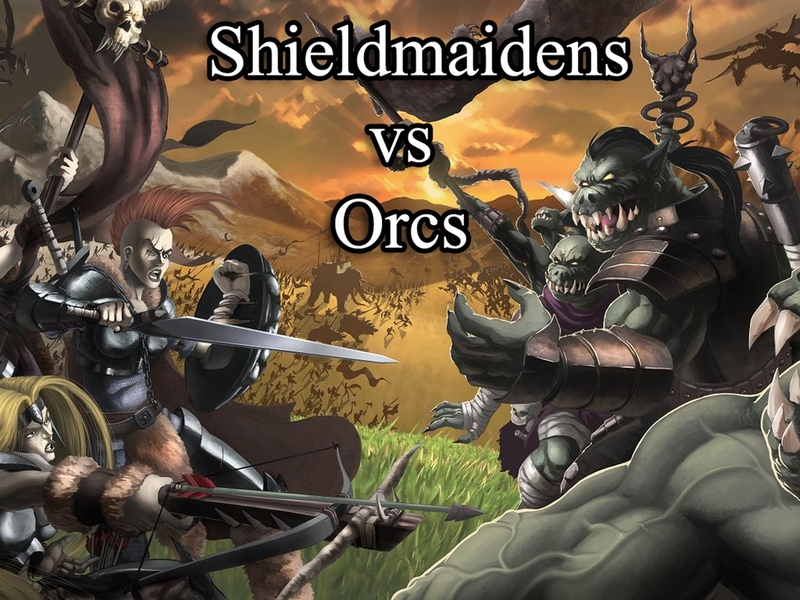 That's the name of the new mass-combat fantasy miniatures game by Shieldwolf Miniatures, who have their Shieldmaidens vs Orcs Kickstarter campaign for the game running now. A previous Kickstarter from Shieldwolf gave us such miniatures as the Great War Mammoth and the Battle Wyvern, this time it's the rank-and-file troops that are looking to see the tabletop, because as cool as it would be to just have a game of "Mammoths vs. Wyverns" it might get old after a while if you don't have more types of troops to use. As such, Shieldwolf is looking to make the Shiledmaiden and Orc armies a bit more full with these figures. Once funding is hit, then they hope to break through some stretch goals and expand each force's choices even further. And it does look like that'll happen (at least the base-funding, anyway), since they're less than $5k from that goal with still 28 days left on the clock.